Investing is all about probabilities because past performance is no guarantee of future results. There are dozens of different valuation metrics and an infinite combination you can use. No matter what valuation method you prefer, remember to always, in the words of Shark Tank’s Kevin O’Leary (aka Mr. Wonderful), remain “a disciplined financial investor that only makes good deals”. This article was co-produced with Dividend Sensei. Fantastic start to the year for REIT investors, with REITs up 18% compared to a red-hot S&P 500's impressive 16%. That's a relief for many, given the two-year sector bear market that ended in early 2018 that was induced by a "bond alternative" buying frenzy created by the 10-year yield hitting its lowest levels in history. But while it's great that our beloved high-yielding sector is once more a darling of Wall Street, that also means that many quality REITs are now trading at nose bleed valuations (see my recent article: 4 REITs In The Nose-Bleed Seats). Which is why I both want to warn investors about overpaying for even quality blue chips but, more importantly, point out three of my favorite valuation methods for REITs and highlight the seven most undervalued names you should consider buying today. Investing is all about probabilities, because past performance is no guarantee of future results. Yes, a track record of good capital allocation and safe dividend growth is a good indication that the future might be bright, but things can always go wrong because business is all about companies competing with each other, and all stocks face their fair share of challenges to overcome. That's why stocks are a "risk asset," and the less you pay (by any valuation metric), the greater your margin of safety. In other words, low valuations give you a cushion against a company not executing perfectly and failing to achieve very high expectations baked into the share price. A Yale study found that, between 1881 and 2016, starting PE ratios had a powerful effect on future total returns out to 30 years. And, according to JPMorgan Asset Management, since 1994, starting forward PE ratios helped explain a full 45% of the market's total returns over the next five years. This shows the importance of NEVER overpaying for a dividend stock or REIT, even the bluest of blue-chip SWANs like Realty Income (O). When you overpay, you reduce your margin of safety and are effectively saying that a company will grow faster than its historical norm for very long stretches of time. 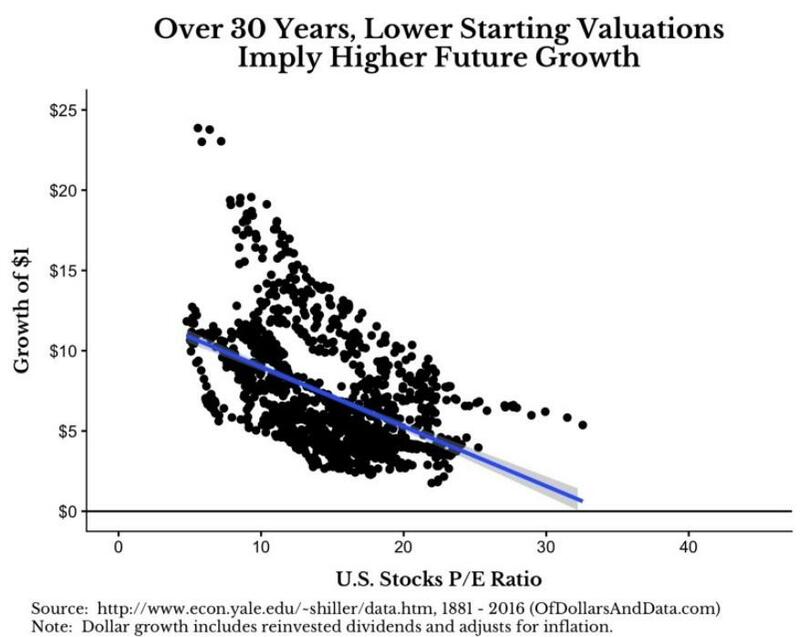 If that doesn't happen, then valuations reverting to their historical mean can lead to years of flat or even negative total returns that can leave you ripping your hair out in frustration. There are dozens of different valuation metrics and an infinite combination you can use. But here are three of my favorites, which have historically proven to be effective ways to minimize overpaying for REITs and suffering sub-par returns over time. Fundamentally, there's no truer and accurate valuation method than discounted cash flows. That's because, ultimately, a company can only be worth exactly the net present value of all its future cash flows. Of course, the trouble is that this requires numerous assumptions about an unknowable future, including long-term growth rates, and requires assuming a discount rate (what returns investors demand) that's different for everyone. Given that a DCF model can be made to say anything you want (junk in, junk out), it's important to use conservative growth estimates and a discount rate that's roughly reasonable by most people's standards. For this purpose, I turn to the highly conservative, long-term, fundamental only focused analysts at Morningstar who are famous for some of the most conservative growth forecasts and fair value estimates on the Street. If Morningstar says a stock is undervalued, it's likely the margin of safety is at least that large, but possibly much more. Here are the most undervalued REITs according to Morningstar (which is typically extra conservative when it comes to REITs, because, technically, almost none has a wide moat by their definition). 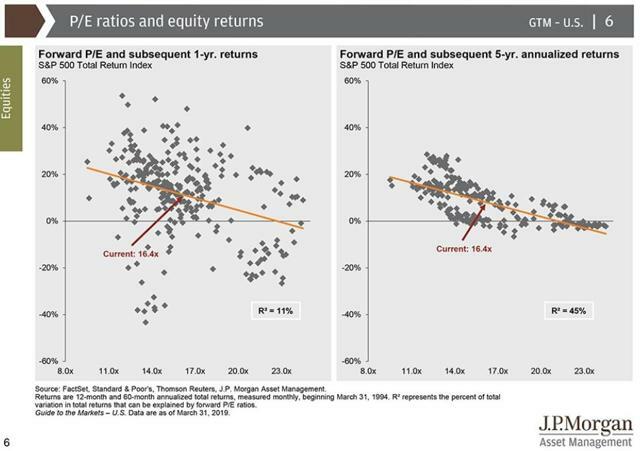 PE ratios are one of the most time-tested and popular valuation methods, and as we've seen from the studies from Yale and JPMorgan Asset Management, low PEs are a major factor in achieving great returns over time. For REITs, the P/FFO ratio is the PE ratio equivalent. A good rule of thumb is that you want to buy a REIT either when it's trading below its historical P/FFO and or a ratio of 15.0 or less. In fact, historical P/FFO comparisons on REITs are favorite methods used by most all REIT analysts. Based on price to cash flow, here are the most undervalued REITs I can recommend buying today. When it comes to my own retirement portfolio, I strive to always manage my money in a data-driven and evidence-based fashion based on the best available information I have. That's why my favorite valuation method for blue-chip dividend stocks, including REITs, is dividend yield theory or DYT. This approach, which compares a REIT's yield to its historical average, works great for stocks who are primarily owned for income and whose business models are relatively slow changing and stable over time (as are their growth rates). 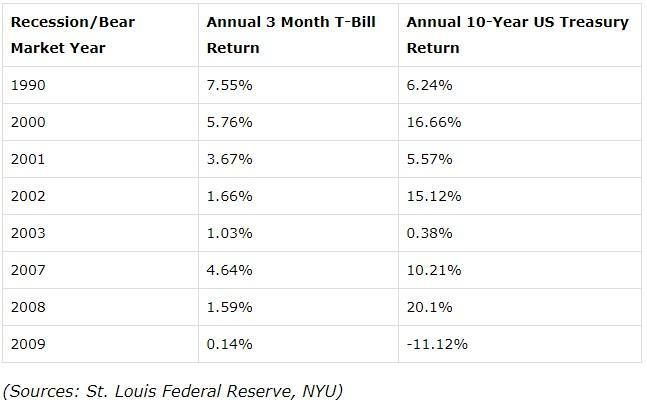 All of these apply to REITs and means that the historical yield is a good estimation of fair value that the market keeps returning to and will again in the future. That's unless something drastic changes, like a REIT crashing and burning (ala CBL & Associates (NYSE:CBL)). What evidence do I have that DYT is effective? How about the fact that since 1966, asset manager/newsletter publisher, Investment Quality Trends, has been using this valuation method alone, and only on blue-chip dividend stocks, to achieve 53 years of market-beating total returns, and with 10% less volatility to boot. In fact, according to Hulbert Financial Digest, IQT has delivered the best risk-adjusted total returns of any investing newsletter in America over the past 30 years. While no valuation method is perfect, I'd say DYT's track record makes it a sound choice for anyone looking to minimize the risk of overpaying for a REIT. 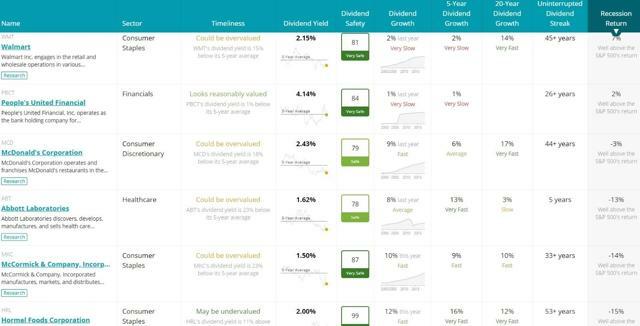 According to DYT, here are the three most undervalued, quality REITs you can buy today. But while buying quality REITs at a discount is a time-tested method for growing your income and wealth, never forget that valuation alone is just one part of proper risk management that's crucial to long-term investing success. There's no perfect valuation method because God never descends and announces the true value of a stock. The reason we have markets is that every investor (and analyst) will have slightly different expectations about a company's future prospects, resulting in various fair value estimates. All investing is probabilistic in nature, which is why risk management is so important. That means diversifying your portfolio by sector (I recommend 20% sector caps), holdings (I recommend 5% except for lower quality stocks then 2.5% or less) and owning non-stock assets as well. Asset allocation, in terms of what mix of stocks/bonds/cash, is incredibly important because NO DIVIDEND STOCK IS A TRUE BOND ALTERNATIVE. Even the bluest of blue chips, the dividend aristocrats and kings, almost all fall in a bear market. Of 56 dividend aristocrats, just Walmart (WMT) and People's United Financial (PBCT) managed to deliver positive total returns during the Great Recession. And, among the 25 dividend kings (50-plus consecutive years of rising dividends = literally the safest blue-chips on Wall Street), none posted a positive return. Lancaster Colony (LANC) came the closest, with 0% total returns compared to the S&P 500's 57%. The point is that when we talk about Blue-Chips or SWAN stocks, we are referring to the safety of the dividend during a future recession. 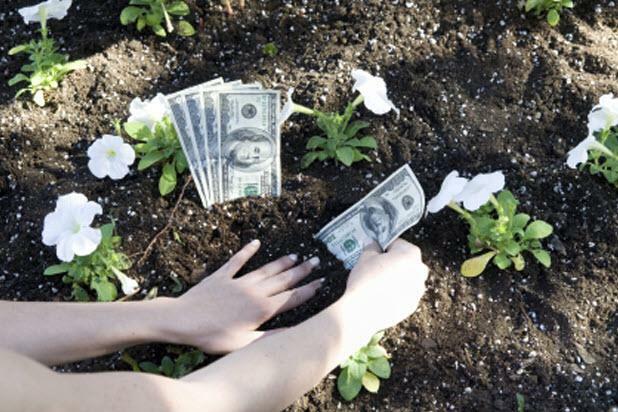 If you need stable or appreciating assets to sell to pay the bills (like retirees living off the 4% rule), then you actually need counter-cyclical assets like cash equivalents (t-bills) or bonds in your portfolio. These tend to rise when stocks are falling, because bond prices are set in a different market than stocks, and based on different factors (primarily interest rates, which have no long-term correlation with REIT total returns). Buying undervalued REITs (a low volatility sector), especially blue-chip and SWAN REITs, is a good way to insulate the equity portion of your portfolio, but quality undervalued dividend stocks of any kind are likely to outperform the market by falling less, not necessarily appreciated in a recession and bear market. Bottom Line: No matter what time-tested valuation method you prefer, just remember to always buy great REITs at fair value or less and use proper risk management/asset allocation. It's easy to get euphoric when REITs are steadily climbing week after week, benefiting from the current "Goldilocks" economic conditions that include slower but steady economic growth, healthy consumer spending growth, and historically low long-term interest rates (which aren't likely to rise much higher due to low and stable inflation expectations). But never forget the golden rule of investing that valuation always matters and that the corollary to Buffett's rule that "it's far better to buy a wonderful company at a fair price than a fair company at a wonderful price" is never pay more than fair value for any REIT, even the highest quality blue chips. REITs are a great source of generous, safe and growing income over time, but also a slow-growing sector. Paying a mid-20 cash flow multiple for blue chips like Realty Income is ultimately likely to prove a suboptimal use of your money, especially when there are so many quality REITs worth buying that are still trading at attractive prices. No matter what valuation method you prefer, remember to always, in the words of Shark Tank's Kevin O'Leary (aka Mr. Wonderful), remain "a disciplined financial investor... that only makes good deals." SKT, KIM, MAC, BPR, INN, BRX, and KRG all quality undervalued REITs that I can recommend buying today, and whose dividends are likely to remain safe or even keep growing during the next recession, whenever that may be. Thus, I consider these to be the best REITs you can buy today, at least from a valuation perspective. But never forget that all investing is probabilistic, and you'll want to use good risk management via proper position sizing based on each REIT's individual risk profile and how comfortable you are with it in your diversified income portfolio. Always remember, Don't Chase Yield, Buy These Blue-Chip REITs Instead. Author's note: Brad Thomas is a Wall Street writer, and that means he's not always right with his predictions or recommendations. Since that also applies to his grammar, please excuse any typos you may find. Also, this article is free, and the sole purpose for writing it is to assist with research, while also providing a forum for second-level thinking. "Your articles should be mandatory in High schools and Colleges, as a separate subject on real estate investments." "Always well-written, factual, and very entertaining, and you did it the hard way." "Brad is the go-to guy, with REITs. Wonderful info, he has provided great ideas, on which I read & perform my own DD." "Brad Thomas is one of the most read authors on Seeking Alpha and he has developed a trusted brand in the REIT sector." Disclosure: I am/we are long O, MAC, BPR, INN, KRG, BRX, KIM, SKT. I wrote this article myself, and it expresses my own opinions. I am not receiving compensation for it (other than from Seeking Alpha). I have no business relationship with any company whose stock is mentioned in this article.